Trained dogs that sniff out invasive plants, a combine that harvests prairie seed, bugle calls that can help locate the site's elk herd. A 30-minute chat with a maintenance man yielded nothing but interesting stories and fun facts. It was probably the best introduction to Neal Smith National Wildlife Refuge (NSNWR) I could've hoped for. Mr. de Bruin was his name, a lifetime local, avid outdoorsman and wealth of wisdom on local ecology. He was also kind enough to keep me entertained while I waited for the Learning Center to open. 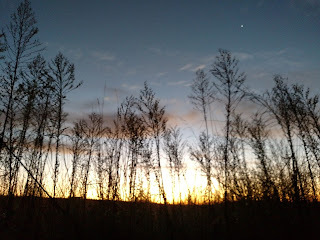 With waving tallgrass and a rising orange sun as his backdrop, he shared lesson after lesson on prairie restoration. At NSNWR they had learned many the hard way. They learned that cutting and spraying was only effective against certain invasives, while others like black locust needed to be girdled; they learned that bluestem seeds should be sowed onto snow, since they'd have no chance if sowed into competition come springtime. 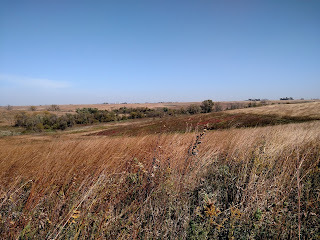 What I found most interesting was their protocol for converting farmlands to prairie. Some portions of the Refuge continued to be farmed (up until as recently as 2014) not just as a source of funding, but also as a place holder. If too much farmland was converted too quickly—more than the eight employees could manage—they would be stuck with fields of weeds and prolonged struggles. 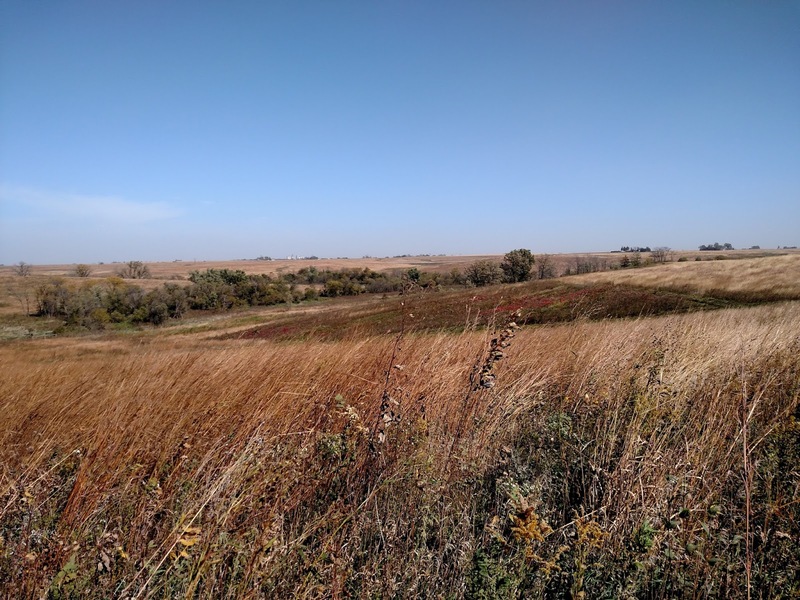 This article reviews NSNWR and its restoration of tallgrass prairie, Iowa's historically dominant yet currently endangered ecosystem. Prior to settlement, prairie covered 30 million acres, or 85% of Iowa. Only 30 thousand acres remain, less than one tenth of one percent. 300 of these remnant acres have been restored at NSNWR. 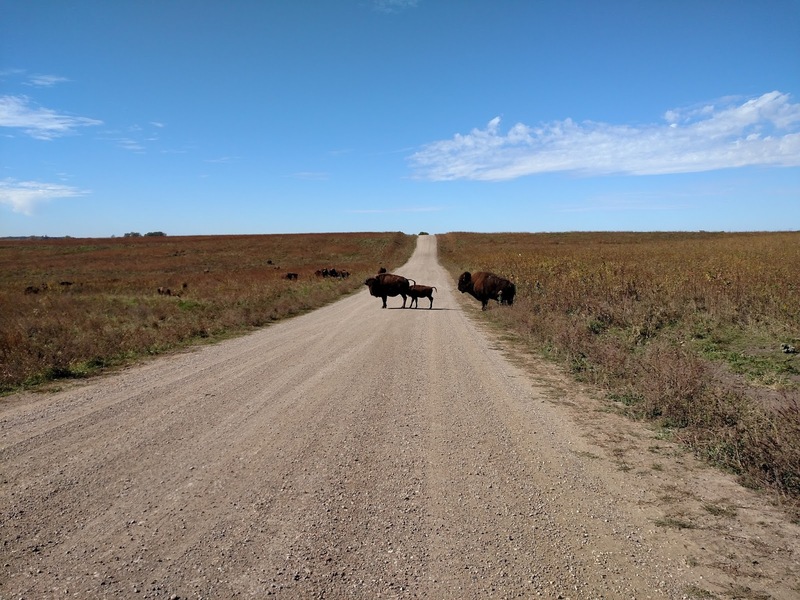 Another 3,000 are being reconstructed from farmland, making it the largest tallgrass prairie reconstruction site in the world. "The Richest Soils on Earth"
Formed by the retreat of glaciers and deposition of loess soil ten thousands years ago. 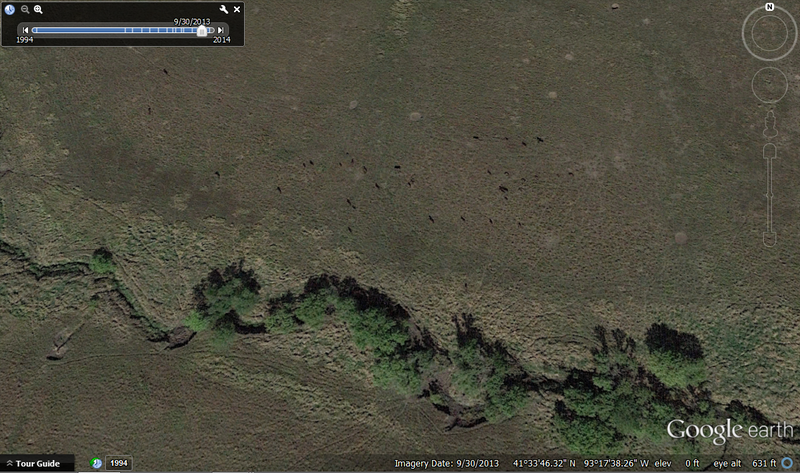 Further formed over thousands of years by the growth and death of prairie vegetation. 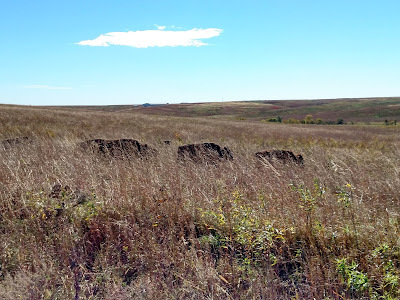 When grazed or burned, prairie plants shed their roots, adding organic matter and building rich, dark soil. In the mid 1800's settlers began clearing prairie for agriculture. This process accelerated since John Deere invented the steel plow in 1837. It required less men and less oxen to operate, and could more easily slice the deep, thick roots of prairie plants. This legacy we still live today. According to 2010 land use statistics, 95.4% of Iowa's surface area is farmed or developed. Only a combined 3.3% is in Conservation/Wetland Reserve Programs or federally owned (the other 1.3% is water). Where there is corn, there was prairie. Where there are cities, there was prairie. 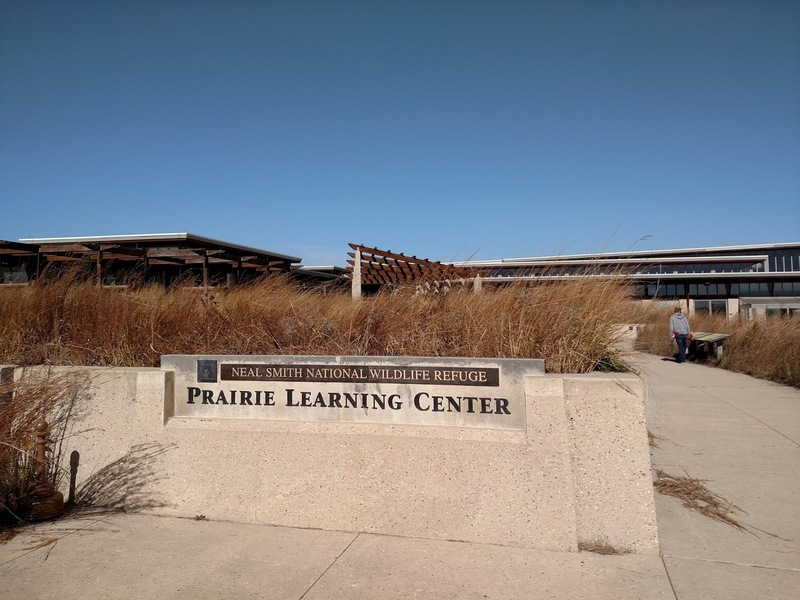 Where there are counties, where there are towns, there was prairie. -Opening words of the Prairie Learning Center documentary (after a confusing scene where a child has a staredown with a stuffed lion). 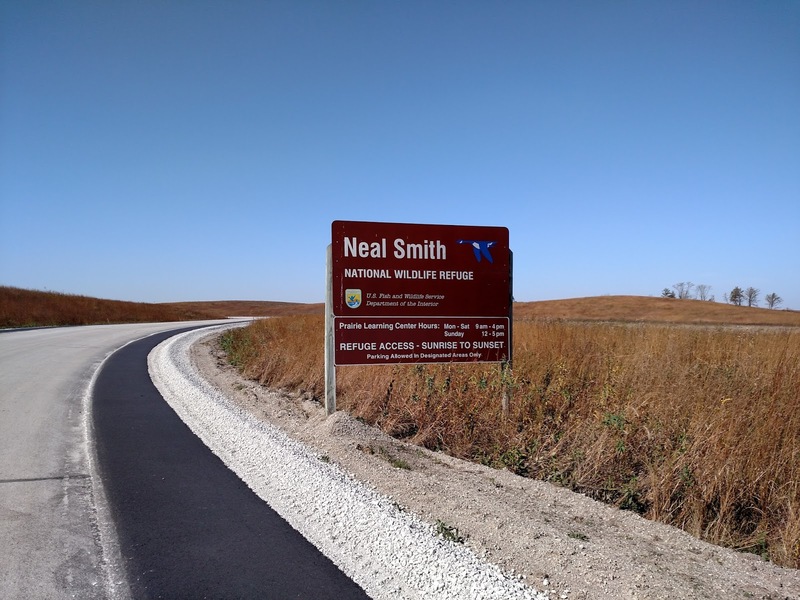 The Neal Smith National Wildlife Refuge was created by an act of congress in 1990 (Neal Smith was its main proponent). The purpose of the act was to "re-create 8,600 acres of tallgrass prairie and oak savanna," making it the first refuge established mainly for the goal of ecosystem restoration. Education is a major objective at the NSNWR. It's a major field trip destination for schools of nearby Des Moines. 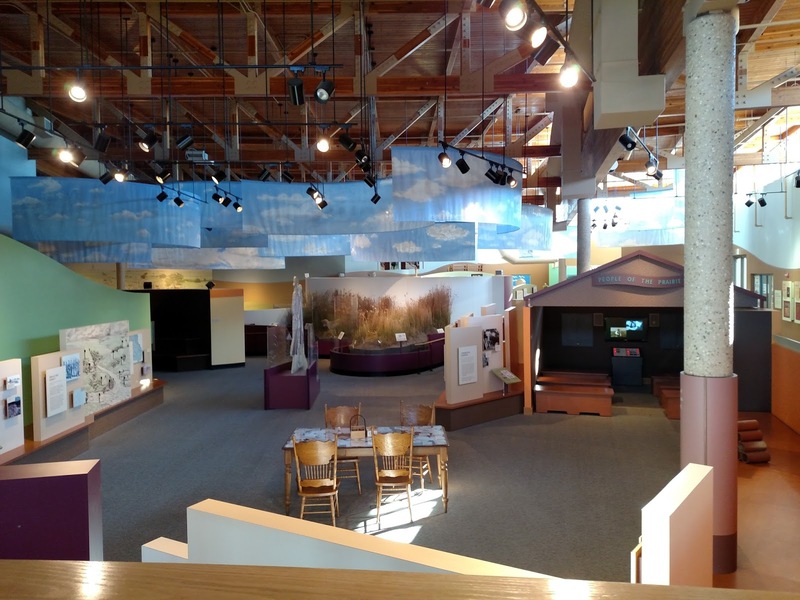 The Prairie Learning Center is packed with interactive displays, well-researched interpretive signs, movie screens and lab rooms. It also houses a nursery and seedbank. Seeding – Sometimes abandoned land will revert to prairie on its own, drawing from its relict seed bank. 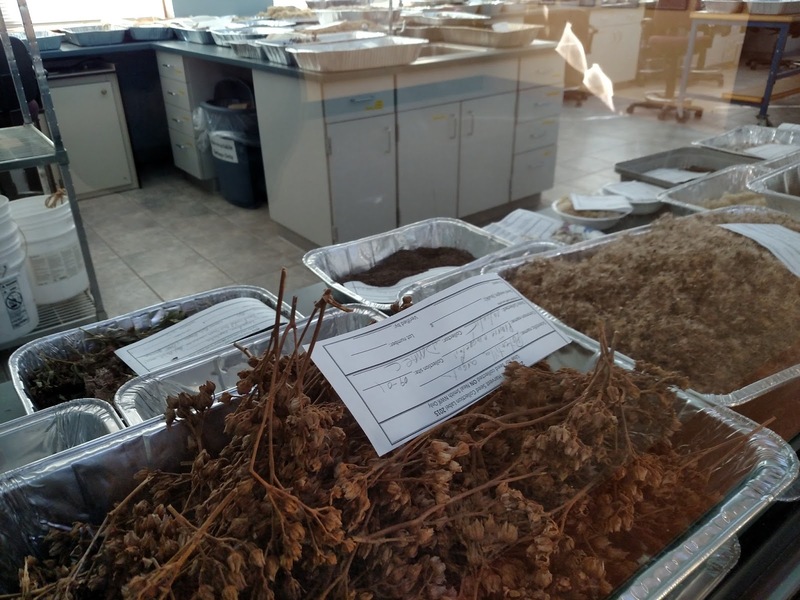 But if the seed bank has been depleted, either from a century of plowing or being out-bred by invasives, then collection, storage and sowing may be necessary. Invasives removal – One of NSNWR's greatest struggles is removing invasive plant species, especially aggressive growers that out-compete natives and reduce biodiversity. They employ many methods. Staff sometimes cut and spray stumps with an herbicide known as Garlon. Thinner plants can be mowed. Larger trees must be girdled, or sliced around their circumference deep enough to sever their cambium. The most common yet laborious method is pulling by hand. Luckily volunteers come by the busload, as many as 150 on one occasion according to Mr. De Bruin. Prescribed burns – Fire is another tool for removing invasive species, as well as for preventing encroachment by woody, non-prairie species. Fire is also a catalyst for regeneration, removing old growth and encouraging new. For these reasons, fire is a major component of prairie health and composition. 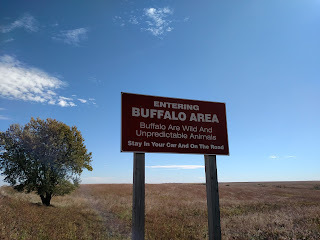 In fact, disturbance by fire literally defines the prairie ecosystem (as opposed to a “meadow,” which is shaped by floods, droughts or other disturbances). 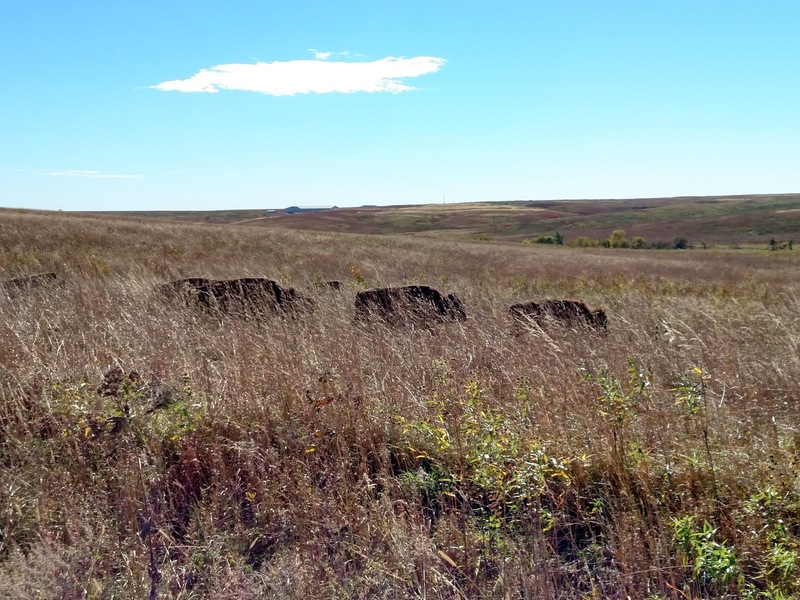 Restoring prairie wildlife goes hoof in hoof with restoring prairie vegetation. 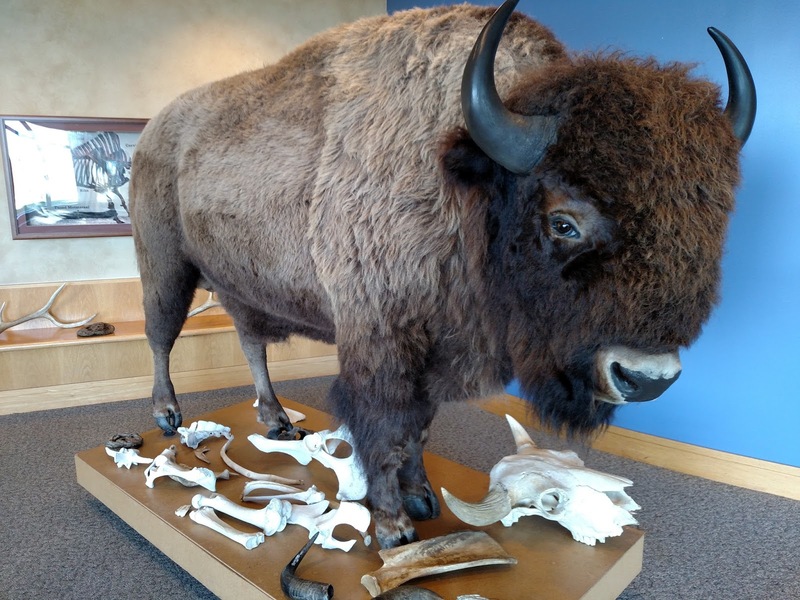 Prior to their near-extinction in the 19th century, these herbivores traversed the Great Plains in the millions, pruning, fertilizing and tilling the landscape. They were a major food source for carnivores (including humans). They were also a source of regeneration for prairie plants, affecting seed dispersal and fuel loads for fires. At NSWR they have 75 bison that roam freely within an 800-acre cell (along with around 25 elk). It's possible to drive through the cell along S 102 Ave W, which cuts through the northern block of NSNWR. Driving through a bison herd was quite an exhilarating experience, especially on a motorcycle. Not going to lie, it took a while to gather the courage. They ended up running from me. Funny. They hardly budged for trucks. 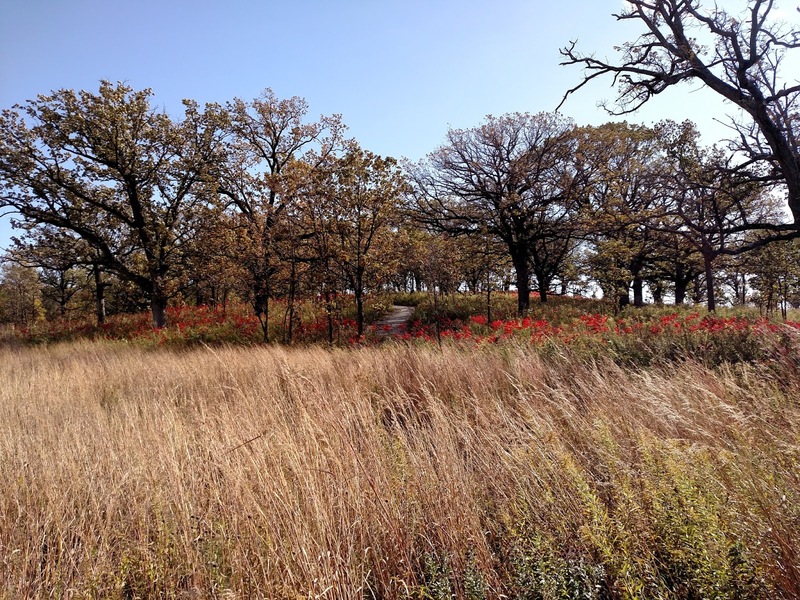 Oak Savannas are another restored ecosystem at NSNWR, which historically made up the other 15% of Iowa's landscapes. 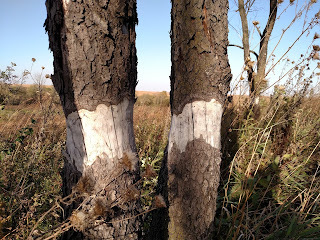 For more info see my article on restoring Iowa's Oak Savannas. Check out this site in the Andes for another example of land that has regenerated since ceasing agriculture; Natural Farming in the Andes.